Memory studies is a new, and upcoming, branch of history concerned with how people, countries, and cultures remember the tragic events of their past. In the past, history has been written by the winners. Memory studies challenges this approach and places emphasis on all perspectives being remembered rather than just that of the victor. Being in Germany, a country with such a recent history, and Berlin in particular, brings this branch of history into focus. For how long should a country pay homage to a past done wrong? Should a country be forever defined by the heinous crimes committed by those now gone? Do those that live there now need to be always reminded of what happened? Every country has some distant past memories that have since turned into history, when is it time to move on and let it fade with time? These are questions that Germany is struggling with. On the one hand no-one should forget what happened lest it ever be repeated again. But, on the other, if the wound is forever left open it will never heal. Nowhere is this struggle more evident than in Berlin. A city that continues to rebuild and redefine itself since reunification in 1989. I think they are striking a balance between moving forward and paying homage to the past. The wall no longer exists except for a few remembrance pieces and a brick trail on the ground throughout the city that subtly marks where it once was. Hitlers’ bunker is now a parking lot with just a small placard marking the historic events that occurred there. New construction is everywhere – so much so that I suspect that if I returned to the city in just 2 years it would look different again. (Our guide said ‘Paris will always be Paris, but Berlin continually changes…you must come back’). There is a huge memorial to murdered Jews in the center of the city – although large, it is subtle but very powerful. 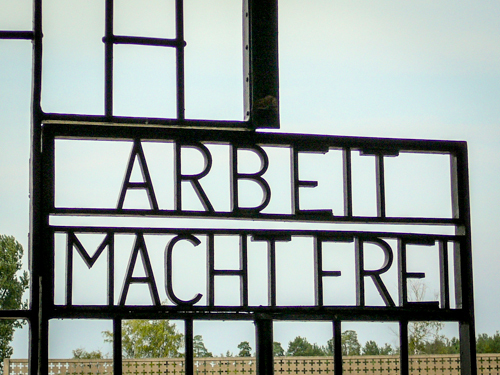 One thing I wasn’t sure of before we arrived was whether or not we would visit a concentration camp. Firstly I didn’t know if I wanted to see and be faced with the horror that it would be, and secondly I was struggling with whether that is how my trip to Berlin should be defined. In the end we decided we should go as, although I believe that a countries past should be allowed to heal with time, not enough time has yet passed for Germany with regard to the Holocaust. Let me be clear. I am not saying that past events should ever be forgotten, only that time can ease the acuity of the pain. 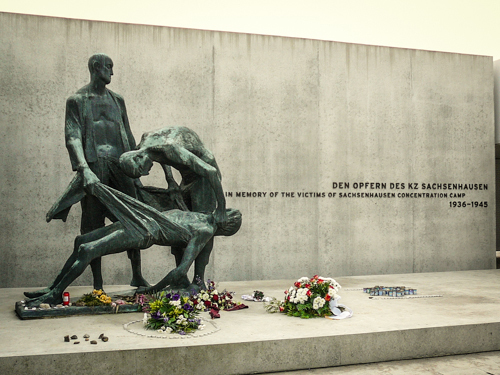 And so we visited the Sachsenhausen Concentration Camp. It was not as bad as I had thought it would be. It certainly told the story of those that were sent there, and those that didn’t return, but it could not convey the daily living conditions and terror. It was moving however, and I will always remember stepping into the barracks thinking about all the men and women that lived, and died, there and seeing the execution trench and crematorium. It was enough. Seeing the wall was more emotional than I thought it would be. I hadn’t realized that the juxtaposition of the East and West was so dramatic. That people in apartment blocks, right next to the wall on the Eastern side, could look over and see the people in the apartment blocks just over the wall in the West. A constant reminder of what they could not have. So close…and yet so far. 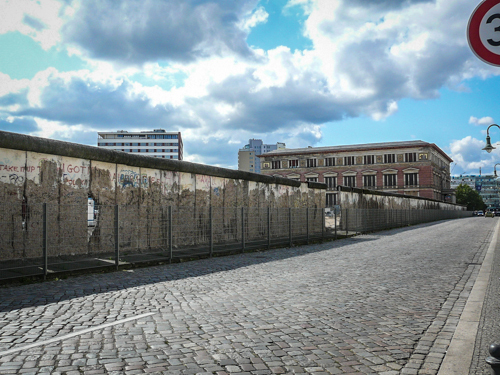 Germany is an interesting place to visit because its past is so recent, so tangible, so accessible. It is certainly not the only country struggling to manage an horrific past, but it is the one that is actively in the process of trying to do it the right way. Other countries in the world should be taking note, owning up to their own misgivings, and finding a way through it with such grace. so you are in europe? me 2! maybe we can cross paths? Interesting. I’ve always wondered how people in Germany refer to the war. I would be on the fence about visiting the camps too. @Dirk: One person told me that it has taken a long time for people to even be willing to say that they are German. I think, though, that it is time for Germans to again be proud of their country, they are headed in the right direction. I’m with Michelle. I LOVE reading your posts. You can imagine, emotional being that I am, that this one brought tears to my eyes…you describe it so I feel like I am there with you as you do on so many occasions. I hope there is a book and I can say, I knew you when….I would buy the book! Even if no book, glad to know you NOW.